Hugh Palliser was born at Kirk Deighton, West Yorkshire, England on February 22, 1722. He entered the Royal Navy on the Aldborough, his uncle's ship, at age eleven. In 1741 he became lieutenant, and in 1746 he became a captain, commanding several ships during the War of the Austrian Succession. He commanded the Eagle during the Seven Years War, and the Shrewsbury at the siege of Québec. In 1762, Palliser was sent to Newfoundland to expel the French, who had captured St. John's, but arrived the day after the French surrendered. Two years later, he was appointed governor of Newfoundland and arrived April 18, 1764. Early in his term, Palliser addressed the French fishery in Newfoundland. The English believed they were entitled to fish on the French Treaty Shore, which the French strongly disputed. There were also problems in the disputed waters between Newfoundland and St. Pierre and Miquelon. Palliser had to keep the French within the limits set by the Treaty of Paris, and keep the English from disrupting them. He also demanded that no French warships were to enter Newfoundland waters. He prohibited the French from building boats in Newfoundland and from staying over the winter. When he discovered the French fishing on the southern shore, he sent a warning to the governor of St. Pierre and Miquelon, Francois-Gabriel d'Angeac. Concerned by the growth of settlement and the decline of the migratory fishery, Palliser tried to ensure that fishing masters only pay half the wages in advance, so as to ensure that crewmen returned home to receive the balance. Palliser also encouraged the migratory fishery at Labrador, which had been placed under Newfoundland jurisdiction in 1763. Concerned by disorder in the Strait of Belle Isle between Inuit, French and British fishermen, he built a blockhouse at Chateau Bay, and encouraged the Moravian Brethren to establish a mission to the Labrador Inuit. He spent much of the 1767 summer in Labrador, trying to make peace with the Inuit. Palliser left Newfoundland in 1768. He was created a baronet in 1773 and elected to parliament in 1774. In 1778 he was promoted vice-admiral and governor of Greenwich Hospital in 1780. 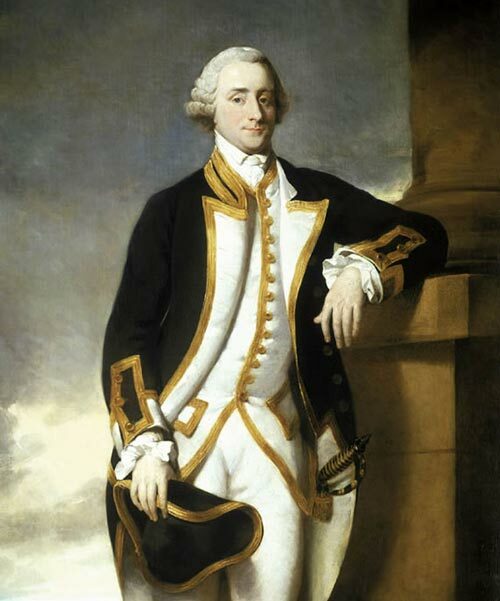 In 1787, he was promoted admiral. He is further remembered for the Act for the Encouragement of the Ship Fishery, otherwise known as "Palliser's Act", passed in 1775. He died in Buckinghamshire in March, 1796.